Romanian PM Viorica Dancila has sent a letter to the first vice-president of the European Commission, Frans Timmermans, retorting to his 18-question letter the he sent to the head of the Executive in Bucharest in early October . 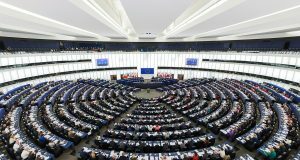 European Commission First Vice-President Frans Timmermans had urged Prime Minister Viorica Dancila to answer a set of 18 punctual questions on the Criminal Code and the Criminal Procedure Code by November 1. 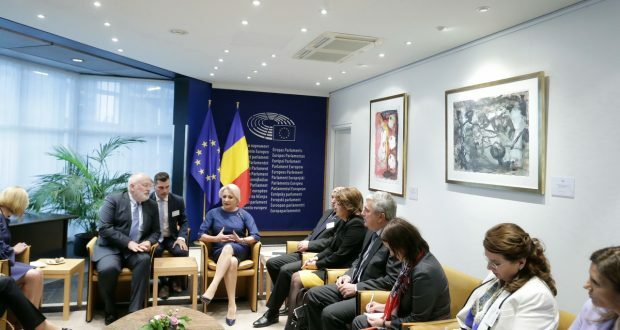 PM Dancila retorts to the EC top official that many files investigated by DNA and DIICOT represent a type of blackmail, also mentioning „the prosecutors’ abusive practices”. Replying to Timmermans’ question on the amendment operated on the Criminal Procedure Code that says the case can be closed down after one year of investigation, Dancila says that the amendment had in mind „the reasonable timeframe to solve the complaint, so that the investigation bodies should be relieved from the old files, and considered the right of the victims to have their complaint solved and a fair trial”. As for the question on „the stake” of informing the suspects during the investigation’s early stage, the Romanian PM replies that „the stake you are referring to is false, as the amendments brought to this article related to the case of nullity”. „The need for this nullity comes precisely from the abusive practice frequently seen among prosecutors, who are prosecuting people, turning them into suspects without informing them about the deeds, the evidence, the legal categorisation, so that the people cannot defend themselves. Such a practice is breaking the ECHR norms”, Dancila argues. She added that „he who raised this issue to the EC, of destroying evidence, proves a crass ignorance of the Romanian Criminal Procedure Code”. Another question put by Timmermans referred to the right of not cooperating with the legal prosecution bodies. „This amendment started from an abusive practice across the prosecutor’s offices, through which a file used to be split and the same person was suspect or defendant in one file, and a witness in another one. Prosecutors used to hear that person as a witness so that they could use his statements in the file where he was suspect,” Dancila said. „It is concerning that, by this question, the Commission considers as perfectly normal and in compliance with the European standards that prosecutors could take only incriminating parts of these recordings and keep hidden excerpts that could help the defence,” she added. Another question referred to the fact that evidence obtained in the file cannot be used in another file. Dancila replied: „ There are already too many cases when prosecutors, by intercepting suspects or defendants, have introduced in the files private talks held inside the family, which had nothing to do with the case, with the purpose to humiliate or blackmail the defendant”. 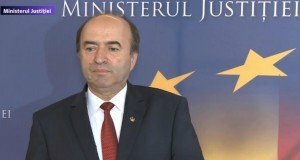 The EC official also questioned on the amendment that allows prosecutors to ask information about the financial situation of a person, including his bank accounts, only based on „a clear and convincing statement that he has committed that crime”. Dancila says there is no such provision in the Romanian law, while pointing out: „We don’t understand the nature of the Commission’s concern, as long as we suppose the EC experts don’t trust Romanian prosecutors more than the Romanian judges”. 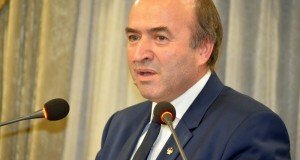 As for the abuse of office, the head of the Romanian Gov’t wrote to Timmermans that its definition „dates back in the Soviet times” and that it allows „the incrimination of any state clerk for everything he does or he doesn’t” and it „can be easily used to remove some inconvenient people from certain positions”. Dancila gave the example of former Prosecutor General Tiberiu Nitu. She further explained that the Romanian Constitutional Court has ruled that the abuse of office definition is „much too wide” and that no Government has harmonized the Criminal Code with the CCR ruling in the past 2 years. Regarding the curtailment of some statute of limitations for certain crimes, the premier said the reason was to „boost the activity of discovering, sanctioning and countering crimes”. „At this moment there is a high number of files, thousands, many of them under way or blocked, and they represent threats and types of blackmail for certain people. Most of these files are extremely brief and don’t have evidence that should lead to some criminal deeds, but the prosecutors are afraid to close them for fear of not being charged with aiding and abetting”.